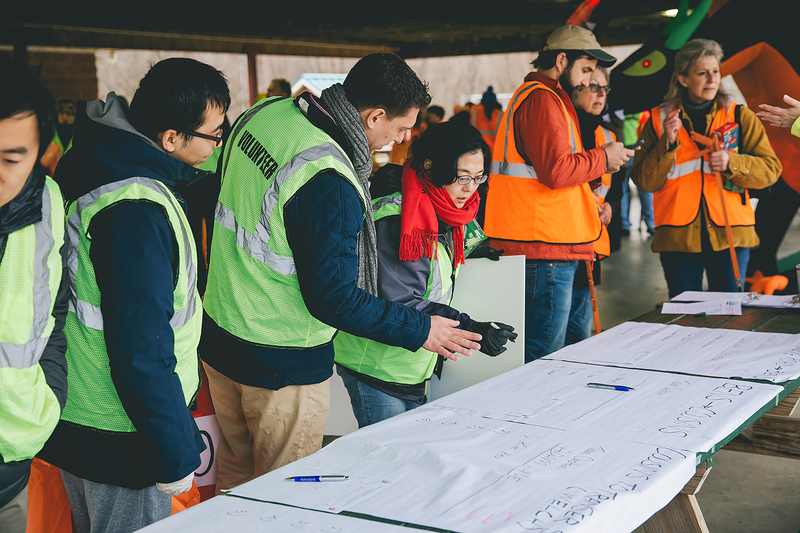 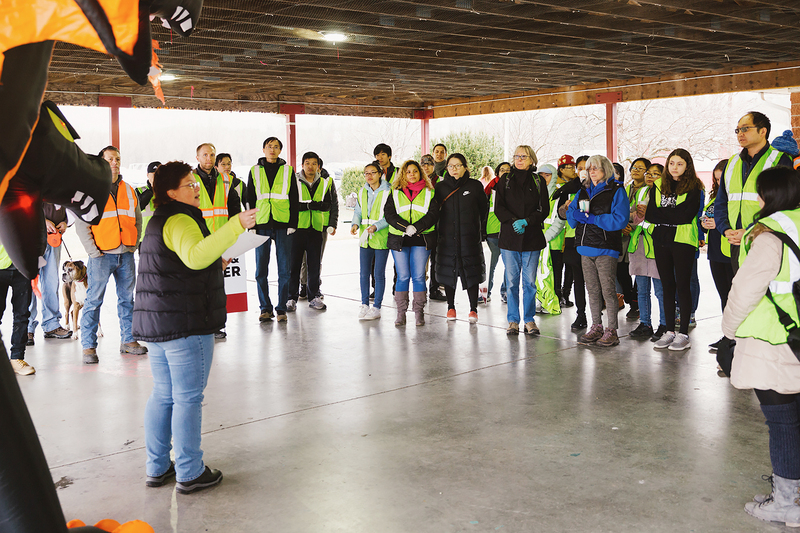 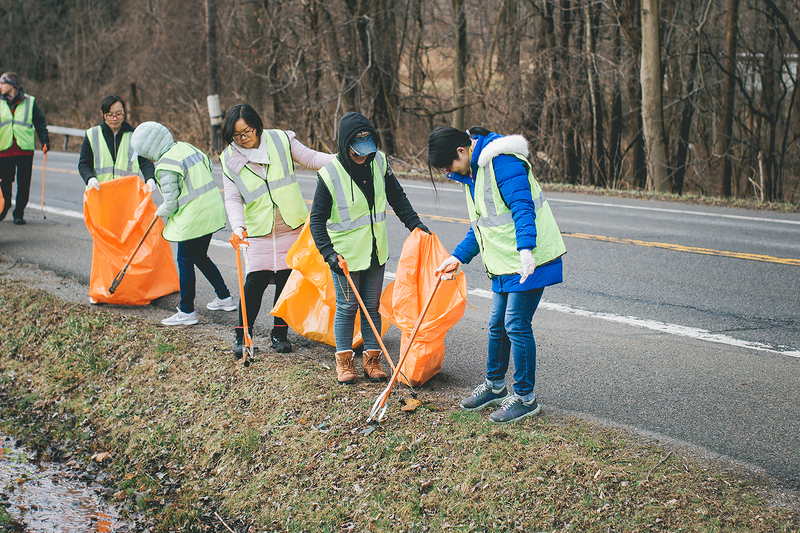 During the month of March, Dover Greens and Olivet University staff participated in weeks of planning for the town-wide spring litter clean up. 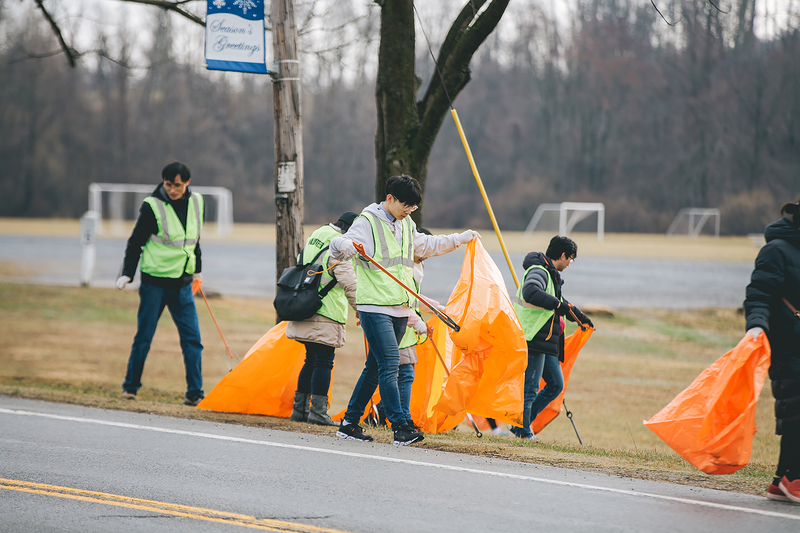 The event was organized by Town of Dover and headed by the superintendent Linda French and town councilwomen Jane Meunier. 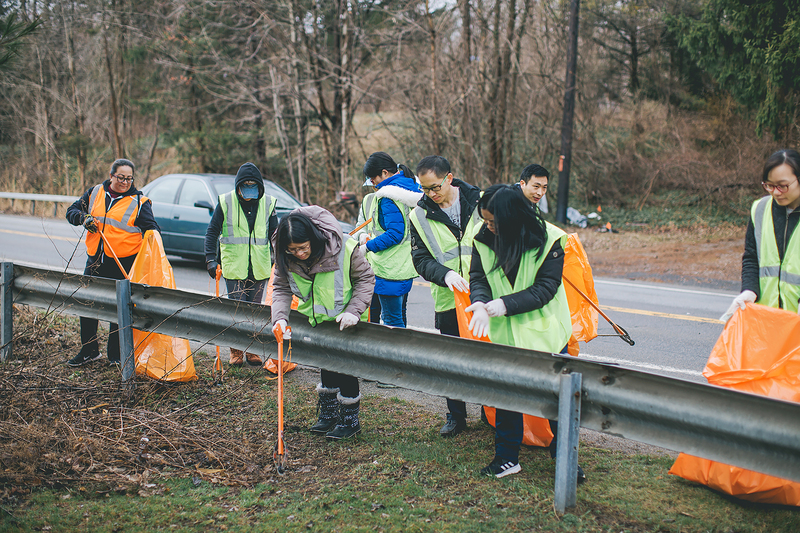 The annual community initiative has been extended to 2 weekends this year, and also experienced greater participation from the residents as a result of the awareness produced through word of mouth, social media, and promotion of the event in local schools. 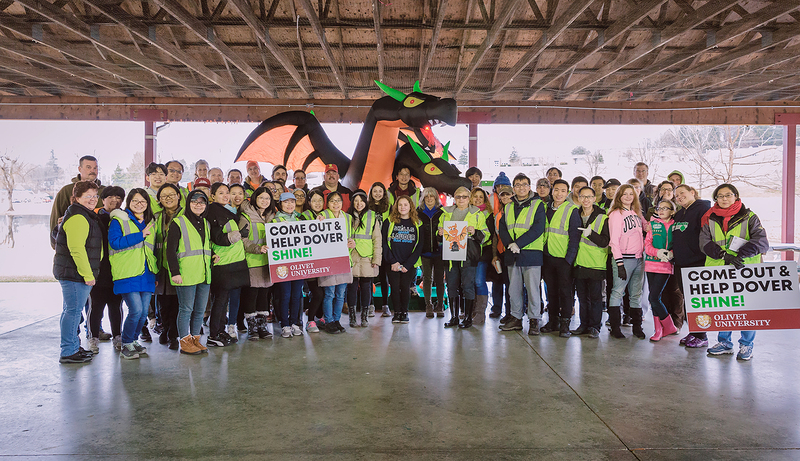 The catchy slogan: ‘Come out and Help Dover Shine!’ was another result of the planning meetings along with the competition to design event logo by Dover Dragons. 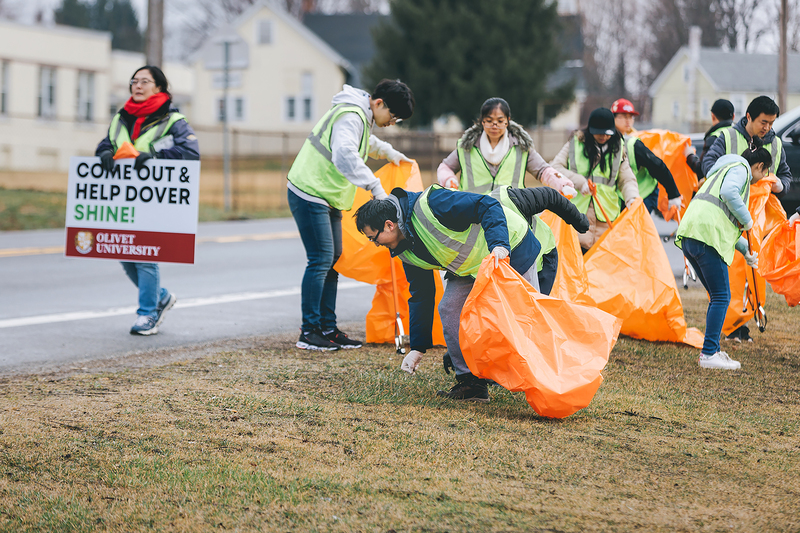 Dover Greens and Olivet University staff and students participated with approximately 30 staff and students and were able to clean up the litter from the miles of Route 22 highway and areas around Dover Library, post office and local stores and businesses.